Each Christmas and Easter during the fundraising frenzy, we tried to make our ‘Fairs’ stand out from the myriad of others taking place around the same time – not easy when they were basically exactly the same as all the others. I think our first Christmas Fair we called ‘A Victorian Christmas Fair’. I remember asking for a load of greenery to be brought to the Memorial Hall – and, boy, did we get a lot of greenery! We had it up the walls, all across the ceiling as well as draped round every stall. All stallholders were required to dress appropriately and we had someone roasting chestnuts in the car park. Only the Father Christmas grotto was allowed to be its own traditional self, with a ‘mystical’ walk followed by the traditional gift from the great man. Rose Stanley and I had great fun going on our trips to the less salubrious parts of East London to buy the ‘presents’ – but that is another story. When Easter came round we came up with the totally unoriginal idea of calling it an ‘Easter Eggstravaganza’. We incorporated an ‘egg’ raffle and tried to create a sea of daffodils around the place. As we couldn’t have Father Christmas, we had an ‘eggsperience’ instead -again a grotto, culminating with a large chicken laying a crème egg for each young visitor; to this day I can hear that willing chicken giving out a dutiful little squawk as she ‘laid’ each egg. From memory, I think the following Christmas was the one entitled ‘Christmas in Fairytale Land’ – with each stall taking a different fairy tale theme. I can remember deciding I was going to do ‘Little Red Riding Hood’ with my stall made to look like a giant basket and me selling other things in little baskets – but as I only threw this vision at the team at the last minute and then waited for them to deliver a fantastic stall with about an hour to spare, I was not the most popular person around! They had the last laugh though as we had decided to make the raffle ‘Mother Goose’ with, quite obviously, a goose as first prize. I duly placed our order for a goose at one of the local butchers. In those days, Freshwater actually had more than one butcher and I happened to make a comment in another butcher’s about buying a goose, only to find to my horror that the second butcher could offer a better price. I ordered the cheaper goose and went back to first butcher to cancel order… alas I was told the order had already gone through and could not be cancelled. Okay, I thought, my family would have goose for Christmas this year and that way SPLASH could still have the cheaper bird. Guess who won the raffle? And my family did not fancy it, did not enjoy it and asked me never again to get a goose. 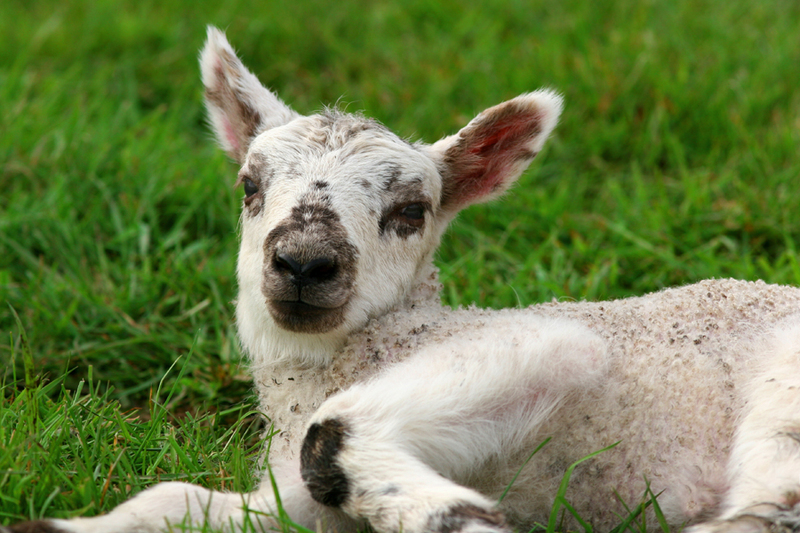 Another Easter memory was the year we decided to bring in a spring lamb. The idea was that children could have their photo taken cuddling this gorgeous, fluffy little creature. It proved extremely popular but I noticed that a suspiciously large number of the kids seemed to be sporting a little wet patch after their picture had been taken; we had apparently been lent an extremely incontinent little lamb!! Shirley Miles was then rushing around in a panic with polythene sheeting to protect the newly renovated Memorial Hall floor. So many of the things we tried in that hall would have been impossible to do these days with ‘elf and safety’ issues. The grottos, with their little narrow walkways amidst Christmas lights would surely have been ruled out as a fire risk as would, I am sure, the masses of greenery we had strewn round the place on that first Christmas fair. This entry was posted on Monday, January 20th, 2014 at 1:01 pm. It is filed under The People and tagged with barbara richardson, butcher, christmas, Clare Griffin, easter, eggstravaganza, fairytale, Freshwater, fundraising, goose, Island, Isle, lamb, little red riding hood, Pool, Ron Smith, Shirley Miles, SPLASH, Swam, Swim, swimming, swimming pool, victorian, west, west wight, Wight. You can follow any responses to this entry through the RSS 2.0 feed.